I can officially say Eurovision has begun! All 16 countries represented themselves in the name of pride and they can be found below, in their running order. If there is a (Qualified) next to the country, that means they managed to get through to the next round. 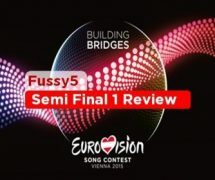 You can also see their profiles on the official Eurovision Website here – www.eurovision.tv. This year, the BBC introduced Mel from the Great British Bake off to commentate alongside Scott Mills in the Semi Finals for Eurovision. When the show started we were introduced to the hall by Scott Mills and Mel, and then Conchita rose from the ashes of 2014 and was reborn as she sang her winning song ‘Rise Like a Pheonix’, and then introduced the countries participating in Semi Final 1. So, all the countries sang, alongside the little things the BBC do as Europe goes to a break. 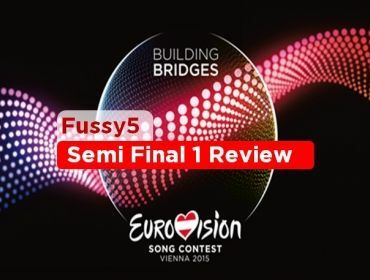 The voting came along: only 10 out of the 16 countries were able to take a place in the final but sadly the UK couldn’t vote due to a rule with the ‘Big 5’. Luckily a few of my favourites got into the final, they were: Belgium, Greece, Estonia, Albania and Georgia. Also, a surprise this year. Denmark aren’t in the Grand Final! All I can say is it was a wonderful opening ceremony and a wonderful semi final to open Eurovision 2015 – aka the 60th contest! So, who will qualify in Semi Final 2? Until then, Bon Soir La Europe and Australia!